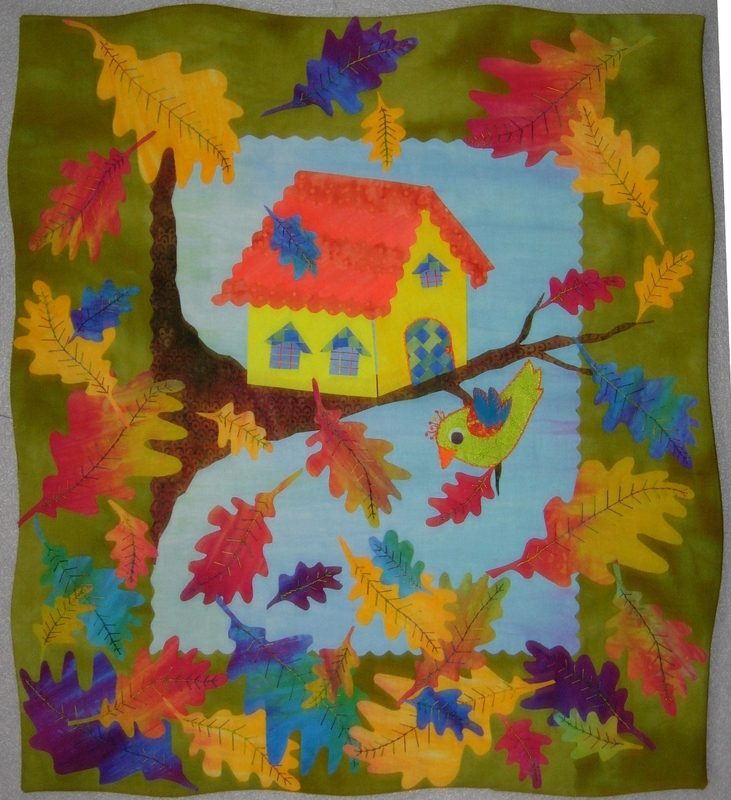 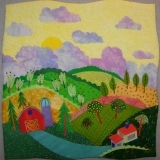 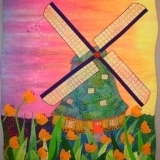 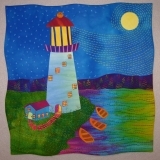 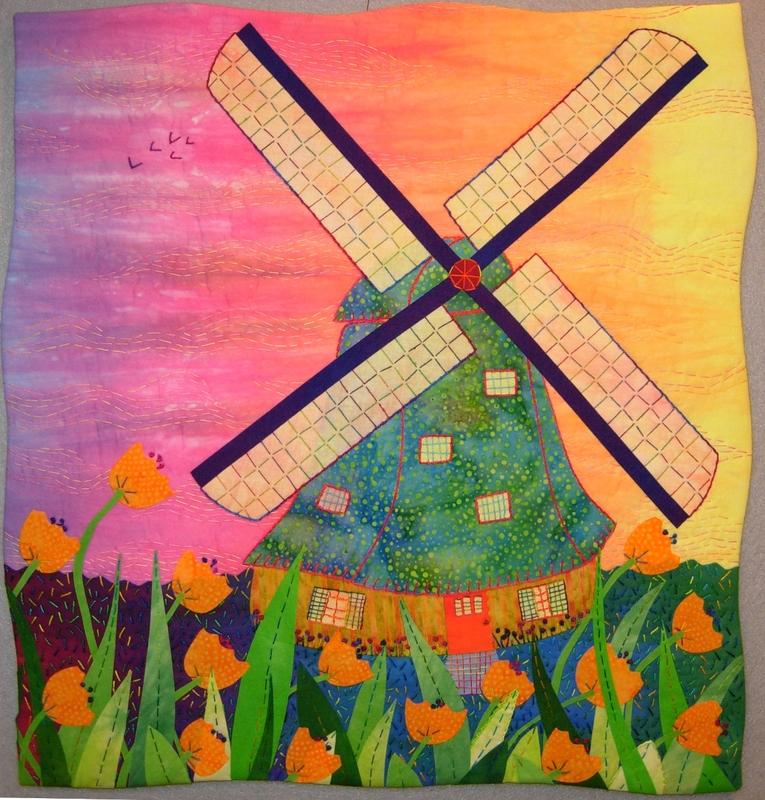 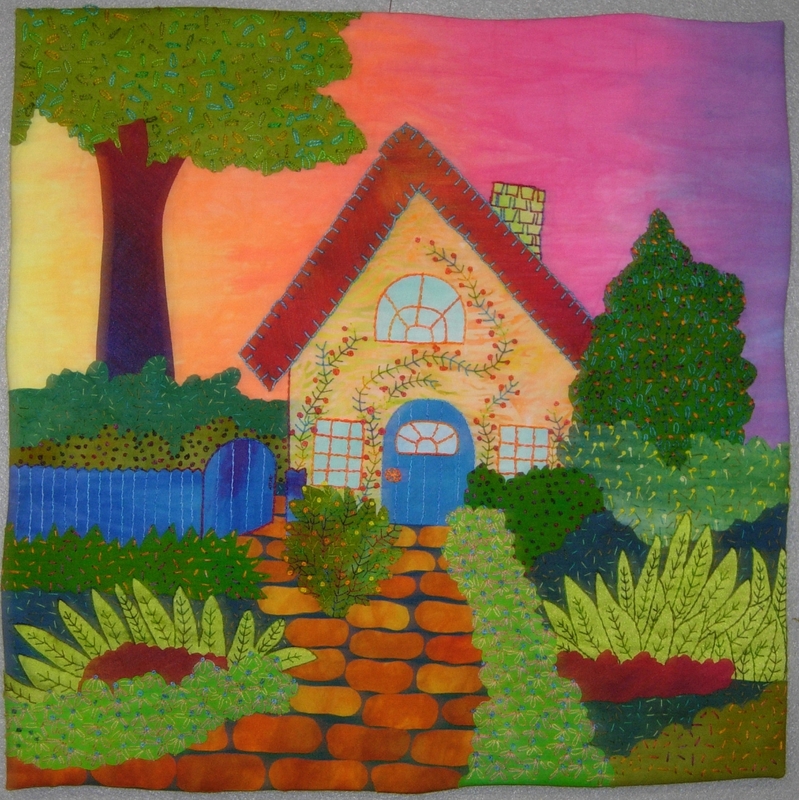 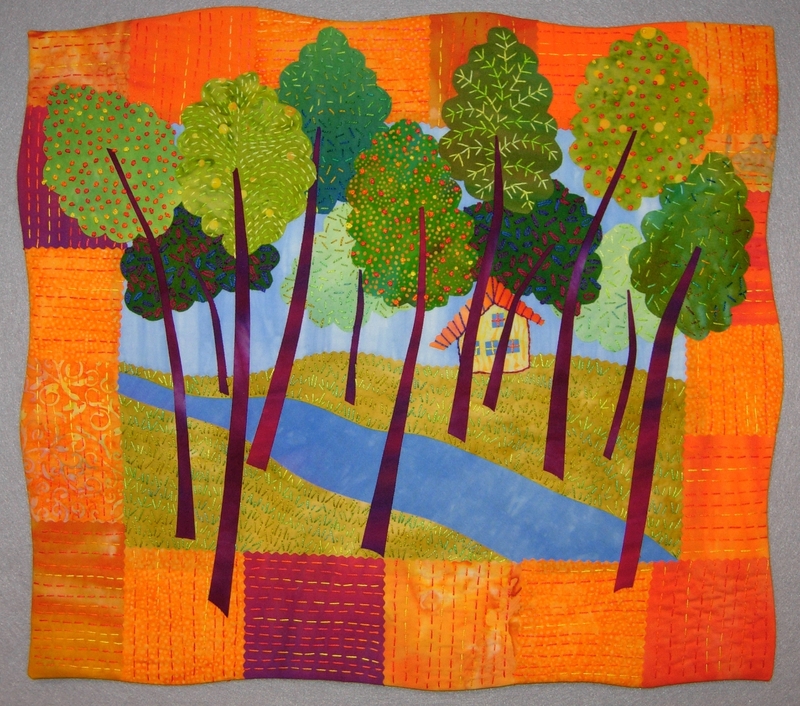 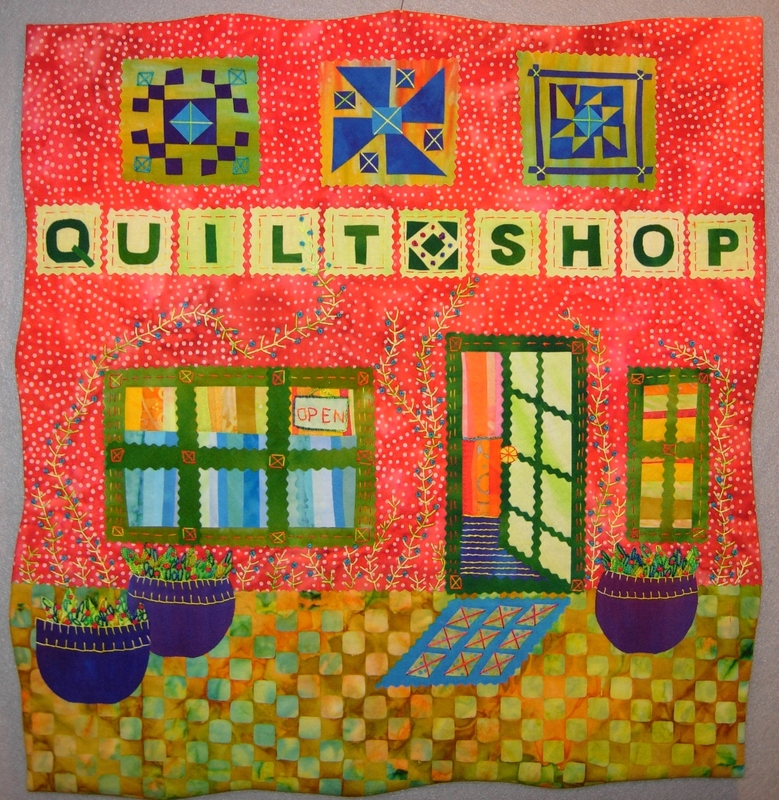 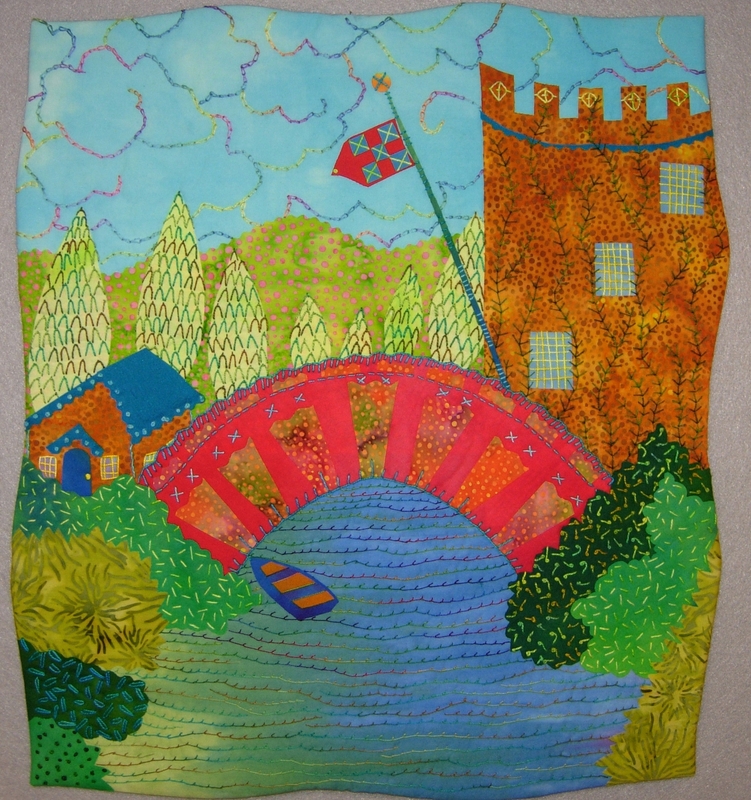 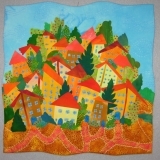 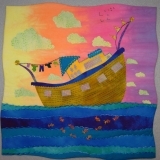 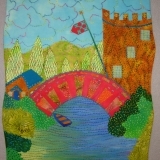 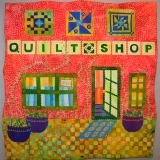 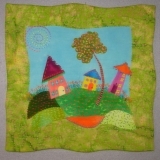 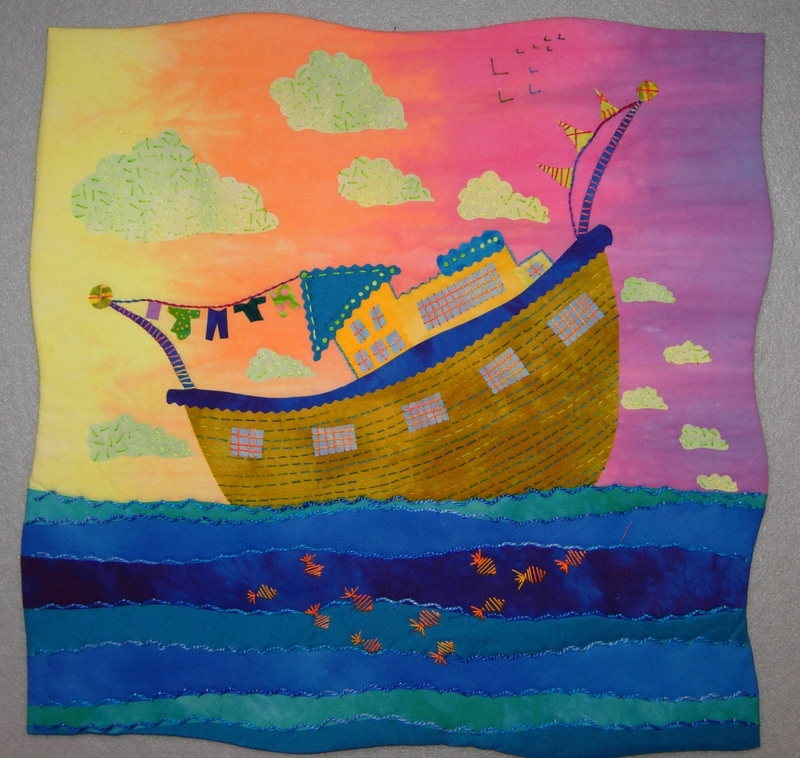 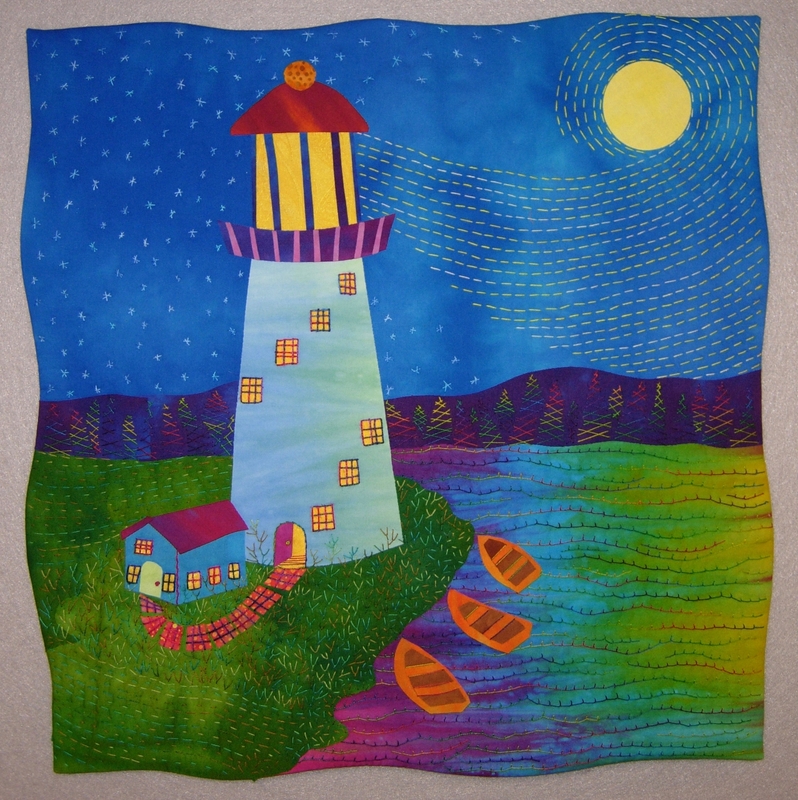 There are 11 fused applique projects in Fanciful Stitches, Colorful Quilts. 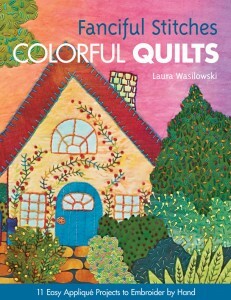 The book features a variety of house quilts that measure about 18″ x 18″. 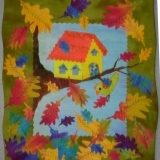 You are given patterns for each design and shown an easy pattern transfer process for fused fabrics. 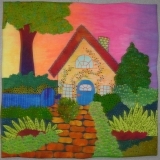 A chapter is devoted to hand embroidery for your fused art quilts and each project has a list of suggested hand embroidery stitches. 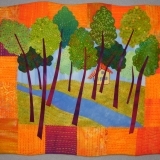 Stitch diagrams teach you how to make the stitches and a final chapter shows the wrapped binding that give these quilts their wonderful finish.